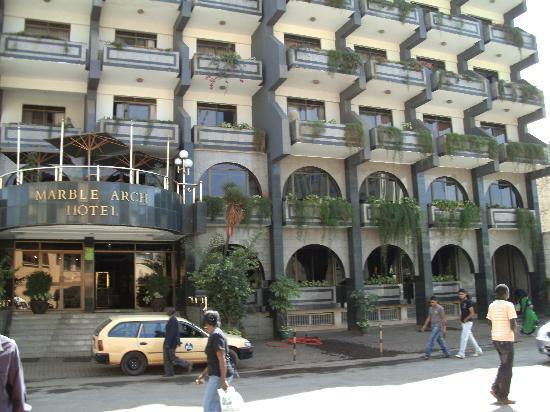 Nairobi City County has earmarked the popular Marble Arch Hotel along Lagos Road for demolition. The hotel is owned by businessman Mike Maina at the centre of the Nyama Villa Estate demolitions. According to a notice served by the county to the hotel management, they have been given 14 days starting December 21 to stop further illegal occupation and development of the property. The management has further been asked to provide the county with development approvals to city hall for verification including occupation certificate. On Thursday, Maina was in a heated exchange with Governor Mike Sonko over the Wednesday demolitions in Kayole. On his part, the businessman said that the tussle for the 20 acre piece of land is a matter that has been in court for 10 years. As revenge, Sonko took down public toilets opposite the hotel also owned by Maina.